Doctor Who: The “Other” Doctors – THE VALEYARD | Warped Factor - Words in the Key of Geek. Tony gets his skull-cap on. Sublimation is arguably the key to any civilised society. The process by which we learn not to act on our first, angry, violent, childish impulses is what allows us not to be complete and utter douchebags to everyone we meet – the governing of those impulses is what stops us turning our motorways into Mad Max movies, our schoolyards into Battle Royale, and our city streets into bloodbaths of intolerance and rage. Now imagine you woke up tomorrow and found your ability to sublimate had been switched off. That’s who the Valeyard is. All the bitterness and resentment you’ve ever felt at all the times things didn’t go your way – the jobs not got, the moves not made, the rejections felt, the head-pounding fury at each idiot on the road who’s cut you up or cut you off, translated instantly into effective, violent retribution, the violent version of you allowed to use your body to get their revenge on a universe that’s never played fair. What’s more, as the ultimate distillation of the ‘evil’ not in you or I, but in a crusading hero like the Doctor, and coming as he does somewhere between the twelfth and thirteen incarnations of that hero, he has been brewing for nearly 2000 years. Every time the Doctor has put himself out for others, in a different timeline, the Valeyard has screamed and taken the low road, so by the time he gets his moment in the sun of the universe, the Valeyard is desperate – he’s an ultimate evil in a hurry, which makes a kind of sense (and to be fair, who has ever looked for that?) out of Trial of A Time Lord’s central plot-point – the Valeyard wants the Doctor’s remaining lives, in essence, a full half of his lifetime, because he feels he’s been mistreated, sublimated, oppressed and kept down by the ‘idiotic honesty’ and moral crusading of all the incarnations of the Doctor he’s been forced to endure. What becomes clear from The Trial of A Time Lord is that among the Doctor’s worst qualities are his gameplaying, his pomposity and his vanity, as these are among the most noticeable traits of this first, on-screen version of the Valeyard we encounter. They’re qualities which, allied to his contempt for all life other than his own – a direct dark mirror of the Doctor’s general spirit of self-sacrifice – go on to embody him throughout three run-ins with the Doctor on Big Finish, each of which give a little more information and some new sides to this most Freudian of all the arch-villains. The first of these additional Valeyard adventures benefits from being an ‘Unbound’ story, a spin-off from the standard continuity – He Jest At Scars asks the simple question: what would happen if the Valeyard had won at the end of the Trial? If the High Council had finagled it to give all the Doctor’s remaining lives to the Valeyard, what exactly would he have done with them? While it’s always a joy to hear Michael Jayston say anything, the scope of He Jests is perhaps less epic than might be hoped: we’ve subsequently seen on screen in stories like Turn Left and The Name of The Doctor that if you remove the Doctor’s crusading influence from space and time, bad things happen – stars go out, planets are persecuted, and ultimately the whole universe has an alarming tendency to go blip. But within the scope it has, there’s some delicious continuity-mining in He Jests that shows the Doctor’s capacity for wilfulness and rampant improvisation. 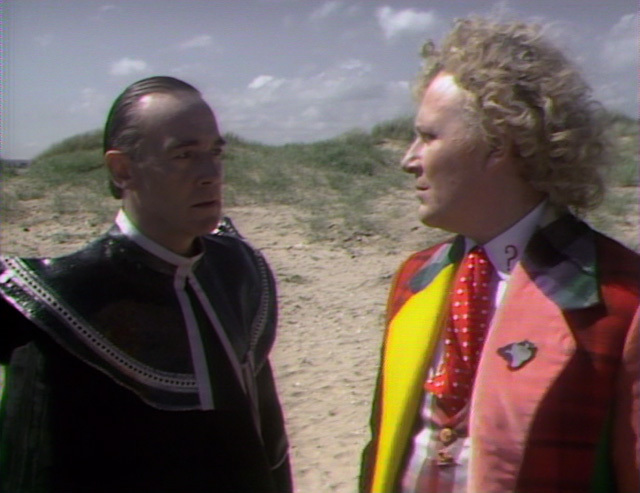 Of all the many Weapons of Universal Destruction he’s encountered, the Valeyard goes back to pick up the Doomsday Weapon from…erm…The Doomsday Weapon, and aims it straight at Gallifrey. Bang – no more Time Lords, and in a single stroke, the Valeyard overleaps many of the species of baddie in the show’s history. This is what happens when a bad man goes to war. But a simple mistake sees him accidentally kill himself in his Fourth incarnation en route to Logopolis, and from that moment on, the Valeyard has a problem – notwithstanding the timey-wimey chicanery that allows version 12b of a Time Lord to kill version 6 of himself and steal the potential of versions 7-12, he’s now killed version 4 before they ever get a chance to become version 6. Take me down to Paradox City. 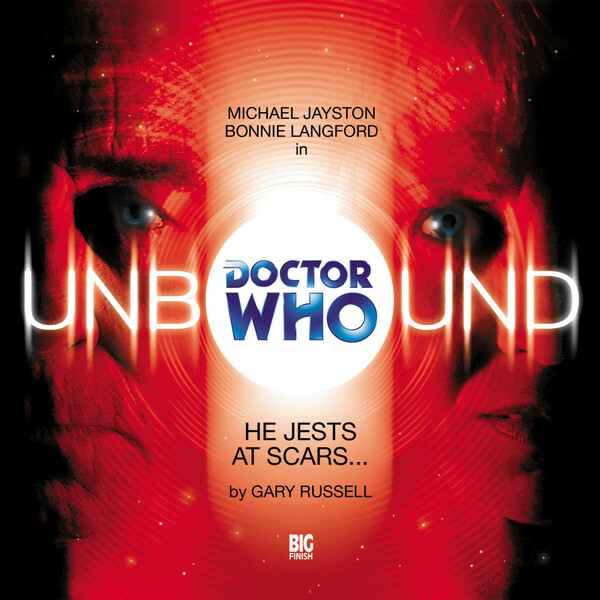 The Valeyard, with the characteristic gift of improvisation against the clock that all his other selves have displayed, tries relentlessly to undo the damage, but only succeeds in tightening the web of fractured causality around himself, leaving him ultimately frightened to move a muscle, condemned to spend eternity in fear of his own actions. So much for alternative timelines. 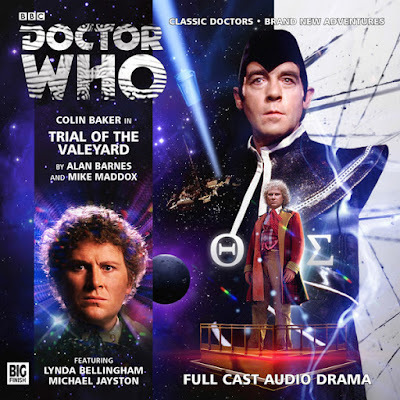 Trial Of The Valeyard re-sets the board and puts the Valeyard on trial, with the Sixth Doctor defending him. There are some great ideas in the story – the notion that Rassilon engineered the ‘twelve regenerations’ limit to stop the Time Lords ever becoming greater than him, the idea of ‘Dark Houses’ where the results of regeneration gone wrong were swept under the Time Lord carpeting – and it does allow the Valeyard to indulge in two of his favourite things: the sound of his own voice, and a good deal of grand guignol, with a little particle dissemination on the side, but ultimately, there’s a sense of ‘it was all a dream’ about it all that makes whatever we think we might have learned about the Valeyard’s character and how such a character can come to exist, how they fill their days when they’re not cackling madly and launching insane schemes, ultimately redundant. He’s still little more than ‘The Bad Doctor’ at the end of his trial, when his origins felt close to being explained. The Last Adventure though takes the time to give us rather more Valeyard for our money, and it hits most of the Valeyard’s key character points – showing him as vain (he’s in perverse love with his own or the Doctor’s backstory, mining that history as stage pathos), he’s actually quite cowardly, hiding in the shadows and manipulating from there, rather than stepping forward to face his enemies, he’s grandiose and grandiloquent, using twenty ‘Pip and Jane Baker’ words where three ‘Terrance Dicks’ words will do. And his view of the universe is intensely insular – he has a couple of fields of specialism, most notably Matrix manipulation and enormo-weapon development, meaning all the experience of the universe the Doctor has brought to him is stunted by an overweened sense of superiority. Where the Doctor finds keys to wonder in the universe through his companions, the Valeyard sees only a playground for his own existence, his own malice and his own self-veneration. Where the Doctor is outward-looking, the Valeyard, perhaps motivated by fear, is intense and inward-looking, only able to recognise greatness in himself, as a rejection of both the Doctor’s personality and his credo of exploration and amiability. The Valeyard is an object lesson to people who identify as Doctor Who fans – there are good reasons we admire the Doctor, but it’s not necessarily easy to be him. 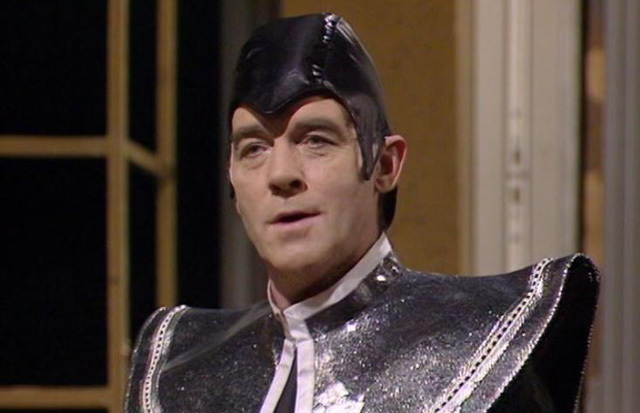 It takes effort to make the positive choices in life every day, but the alternative is to become the Valeyard, to squander our potential and become self-revolving to the point of delusion. There’s also an interesting theory about the Valeyard and why, for instance, we haven’t seen him on screen lately, despite now being on our fourteenth incarnation. The path to good and consistent mental health though may not be through sublimation at all, but finding healthy methods of expression for our dark sides. The 21st century Doctor has been the War Doctor, channelling much of his earlier rage and frustration into conflict with an (arguably) darker force. And all of the 21st century Doctors have displayed their dark sides from time to time – the Ninth Doctor’s explosive survivor-guilt, the Tenth Doctor’s childish anger, his ‘one chance’ rule and ultimately, the ‘Time Lord Victorious.’ The Eleventh Doctor had frequent shouty moments and, as in The God Complex, occasional smashing-things tantrums. And the Twelfth Doctor, having haunted himself with the question of whether or not he was a good man, went one step beyond the Time Lord Victorious, breaking the laws of time for the sake of Clara Oswald, and being called to account as a result. 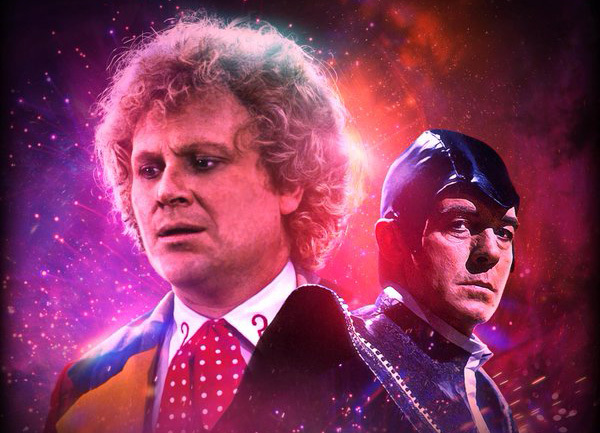 Perhaps – just perhaps – the Sixth Doctor learned the lesson of the Valeyard, and, in the wake of the War Doctor, the Doctor has learned to integrate his darker sides into his personality in safer ways. After all, the Valeyard is waiting, just waiting for his chance to manifest himself.